The Caribbean Court of Justice (CCJ) will next week Tuesday decide whether Guyana’s presidential term limit is unconstitutional. The regional court announced that at 2PM on June 26, 2018 the judgment will be delivered in The Attorney General of Guyana v Cedric Richardson. presidential terms of office from serving a third term,” the Trinidad-headquartered CCJ said in a statement. 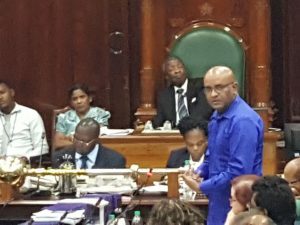 This ruling will effectively determine whether former President, Bharrat Jagdeo will be able to run again, having been elected in 2001 and 2006.